AP Photo This undated photo provided by the San Diego Zoo Safari Park shows Vila, an African gorilla. 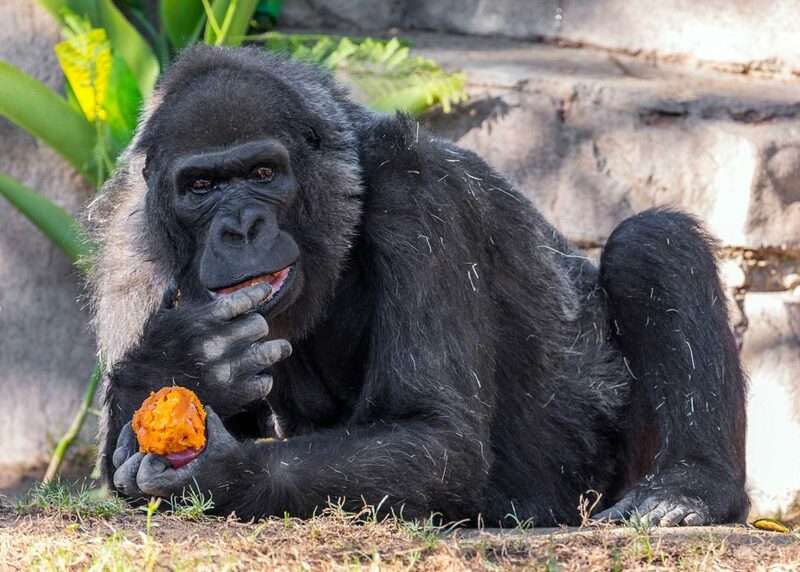 Considered to be one of the world's oldest gorillas, Vila died Thursday at the park in Escondido, Calif.
SAN DIEGO (AP) — One of the world’s oldest gorillas has died at San Diego Zoo Safari Park. The park says Vila, who turned 60 in October, died Thursday surrounded by members of her family troop. Authorities say she was the matriarch of five generations of gorillas and during her life served as a surrogate mother for several western lowland gorillas. Gorillas typically live to be 35 or 40. They are considered critically endangered because of disease, hunting, war and habitat loss. Vila had arthritis and other health conditions related to her age and had been under veterinary care. She was born in the African Congo in 1957. She came to the zoo in 1959 and was moved to Safari Park in 1975.